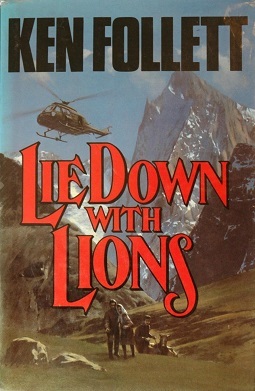 Lie Down with Lions is a 1985 spy novel by Ken Follett. The book was published by Signet in paperback. Today it is available in print, CD and audiobook formats. In 1994 it was made into a TV miniseries directed by Jim Goddard and starring Timothy Dalton and Marg Helgenberger that received mixed reviews. This page was last edited on 13 August 2016, at 17:15 (UTC).